Finland holiday cottage. This modern, wood cottage is 35 minutes’ drive from Pori city centre. 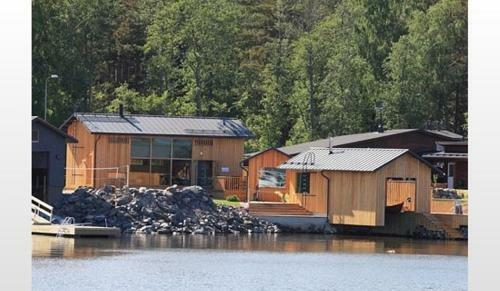 It offers a sauna, full kitchen and BBQ terrace. Wi-Fi, parking and rowing boat access are free. A flat-screen TV and CD player are included at Merta Cottage. The dining/living room features a fireplace, sofa and dinner table. Kitchen facilities include a stove, microwave and tea/coffee facilities. The wood-fired sauna and gas BBQ are free to use, and fuel is included for both. The Gulf of Bothnia, popular for swimming and fishing, is 10 metres from Cottage Merta. A restaurant and shop are only a couple of minutes’ walk away.